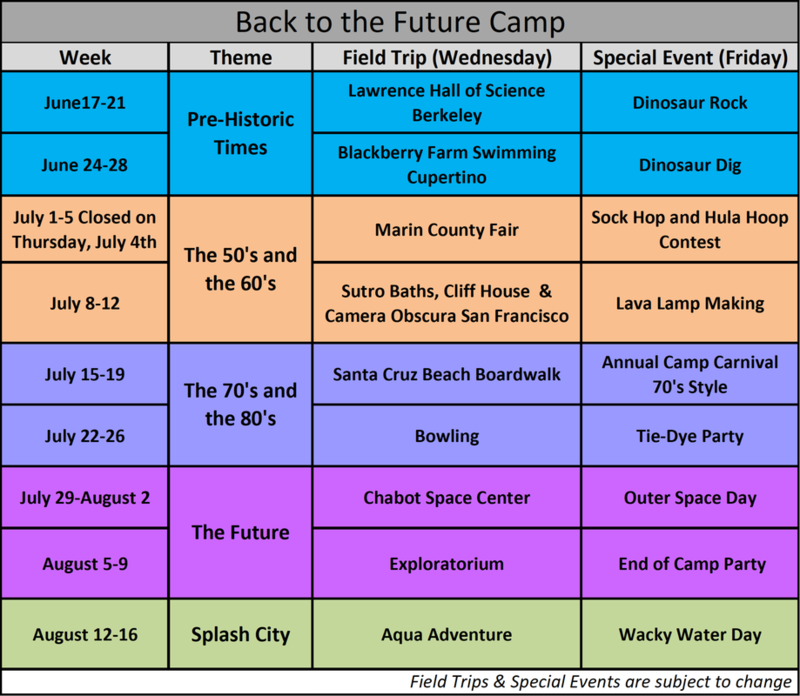 Camp Footsteps - Footsteps Child Care, Inc.
Back to the Future Camp 2019! Get ready for a fun, educational and memory-filled summer camp experience! Each week focuses on a theme, highlighting traditional summer camp activities, with a weekly field trip and special event. We begin with pre-historic times with Dinosaurs roaming the earth, then it’s onto the 50’s, 60’s, 70’s, & 80’s, and then we travel to the future! Campers spend time daily outdoors gardening, hiking, creating, exercising, and having a blast! Each day includes developmentally appropriate activities, quiet time activities, with ample time for board games, puzzles, card games, and art projects. Pizza lunch is available on Thursdays. Lunch costs $6 and includes 2 Slices Seniore's whole-wheat crust of Pizza, Fruit & Water. Add lunch under extras during registration.